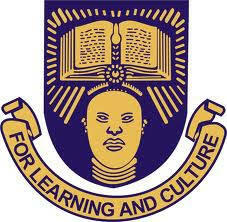 The management of the Obafemi Awolowo University, Ile-Ife said it has paid the Earned Allowance to its workers in compliance with the Federal Government directives. Following the payment, the university management urged the workers to stop the protests and ongoing strike. A statement by the Public Relations Officer of the University, Mr. Abiodun Olarewaju, on Wednesday noted that the money was paid to every segment of the university workforce. He said, “Members of Academic Staff Union of Universities, Non Academic Staff Union, Senior Staff Association of Nigerian Universities and National Association of Academic Technologists benefited from the Earned Allowance. It will be recalled that the non-teaching staff unions of universities, comprising the NASU, SSANU and NAAT embarked on an indefinite strike action against the Federal Government over an alleged disparity in the disbursement of Earned Allowance to all the staff unions in Nigerian universities. Since the commencement of the nationwide strike action, the OAU workers shut down the university gate, health centre, and library, among others; and also stopped the supply of water and electricity. Their continuous protests subsequently forced the university management to shut down the institution in the guise of what it described as ‘End of Year’ break.